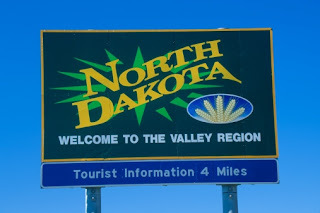 North Dakota Preps • View topic - Talk About Something! This site doesn't seem to have any big topics or arguments going on right now. The only thing we have to discuss is how the stats of other teams look compared against other teams. That is not enough. I created this account so I could join in on these large conversations. So someone make a topic that we can have heated debate about. 1. Assuming that most people have seen the pictures of Adrian Peterson's son during his Dr.'s visit, should Adrian Peterson be allowed to play football again after admitting to "whooping" his son as punishment? 2. If you believe he will, do you believe he will play for the Vikings again? Thanks for the ideas. Not bad, but they have been talked to death on ESPN and other sports networks. Anything a little closer to home than Minneapolis? classB4ever wrote: 1. Assuming that most people have seen the pictures of Adrian Peterson's son during his Dr.'s visit, should Adrian Peterson be allowed to play football again after admitting to "whooping" his son as punishment? 1. I think he will eventually be able to play in the league again. I think there should be some punishment but a lot of other players have continued to play in the NFL after doing worse things, which is sad. 2. I think it would benefit both the Vikings and Adrian if when he came back he continued playing as a Viking. Again I think there should be punishment, like consoling for an example, to help him. The Bison streak comes to an end at 33. Time to start a new one. Oh, so true! I was so mad when I watched that game. I wanted the bison to smash Oklahoma's record for logest win streak. Well, hopefully, the bison finish out the year strong and get the No.1 or No. 2 seed. Going to be a long season for NDSU Men's BB. Run4Fun2009 wrote: Going to be a long season for NDSU Men's BB. Most likely. It would be nice for the to find a groove and win some games. I think Dave Richman will be a really good coach for them. Gas prices keep dropping and it's suppose to be in the forties next week. Gotta love it. did i just read someone compare Oklahoma's record for longest win streak, to NDSU in football? apple and oranges on regards to talent level. Does anybody honestly think ndsu could beat the Ducks, bama, FSU, baylor or OSU? Come on, give me a break, yes NDSU is good, but to put them in the same breath as a D1,A school sentence is a joke. Remember in order to for them to keep the streak going if they were in the same division as these schools, they would have to play in the championship for 3 years. Enough about the NDSU football program taking on the D1A teams, yea they beat 3 teams in that division, but look at those teams that year and what their record end up being. Enough said. radball wrote: did i just read someone compare Oklahoma's record for longest win streak, to NDSU in football? apple and oranges on regards to talent level. Does anybody honestly think ndsu could beat the Ducks, bama, FSU, baylor or OSU? Come on, give me a break, yes NDSU is good, but to put them in the same breath as a D1,A school sentence is a joke. Remember in order to for them to keep the streak going if they were in the same division as these schools, they would have to play in the championship for 3 years. Enough about the NDSU football program taking on the D1A teams, yea they beat 3 teams in that division, but look at those teams that year and what their record end up being. Enough said. D1 football schedules are in the works years before the games are played so schools like NDSU do not have the luxury of choosing schools who are having "down" seasons simply to claim to win over big programs. Kansas St. the season before they lost to NDSU were ranked pretty high at one point in their season. Most big programs can't afford to give up a weekend to play a team like NDSU because of media commitments, but NDSU fans have no reason to think they can't compete with the top programs. The days of playing big time division I program is coming to end. Those teams that have been playing teams like NDSU are not going to the future. They are penalized for playing NDSU in bowl selection and there nothing to be gained for them anymore. It used to good to give them so many wins so they were bowl eligible but now they are minus for them in bowl selection. It appears there is going to be like elite division of Football teams from Big 10, SEC, Big 12, and Pac 12. and division of division I that will be in between the division that NDSU and UND are in. I wonder how long before there will be separate division also in basketball and some of other sports because these elite schools will want to set up television contract to sell elite division of schools playing these sports. B-oldtimer wrote: The days of playing big time division I program is coming to end. Those teams that have been playing teams like NDSU are not going to the future. They are penalized for playing NDSU in bowl selection and there nothing to be gained for them anymore. It used to good to give them so many wins so they were bowl eligible but now they are minus for them in bowl selection. It appears there is going to be like elite division of Football teams from Big 10, SEC, Big 12, and Pac 12. and division of division I that will be in between the division that NDSU and UND are in. I wonder how long before there will be separate division also in basketball and some of other sports because these elite schools will want to set up television contract to sell elite division of schools playing these sports. I'm gonna disagree. The very elite schools will probably have a little tougher schedules now to impress the committee, although I still think you see "cupcake Saturday" in the SEC right before "rivalry week". Now, why I disagree. Let's look at K state. They happened to be ranked the year before they played NDSU because of Colin Klein's emergence. However, like someone earlier said, games are scheduled many years in advance. When the game was scheduled was when K State was in their rebuilding phase. In that phase, Dan Snyder's plan was always to schedule weak out of conference so the team could be bowl eligible. It's a great plan when you know you're sub par because making a bowl game is such an advantage for your program in the long run. These average teams will always keep scheduling FCS schools because they want wins to make a bowl game, and the playoff isn't eliminating the bowls. I agree that FCS programs will continue to be pursued. The D1 programs know that it is all about recruiting, and with the playoff for the top 4 seeds, the smaller programs like Boise St., Wyoming, etc. will make a big push for bowl games and any high exposure games they can schedule and win. When your recruiting areas are in the upper plains, NDSU, SDSU, Montana, etc. are great scheduling options. As for whether or not NDSU can compete with the big programs like Alabama, Oklahoma, Oregon, etc., there is no reason to think they can't until they are beat by them. Wishing my nephew Carson Wentz and the Bison the best of luck in Frisco on Jan 10. 4-peat would be a first for any school. scoobyx2 wrote: As for whether or not NDSU can compete with the big programs like Alabama, Oklahoma, Oregon, etc., there is no reason to think they can't until they are beat by them. Then schedule one instead of picking off the bottom half of the power conferences. Unfortunately, the Bison have dug their own graves with this. After knocking off so many DI teams, any team with even a remote shot of a title or top bowl bid is not going to schedule them and risk having a loss to a lower caliber team on their resume. Whether the Bison would actually have a shot in a game doesn't matter and can be debated at length, the big teams aren't going to do it. They are going to be left playing against mid major conferences from now on and it goes to show with no DI team on the schedule at the moment past 2016. Adding UND takes away some scheduling flexibility. I agree that it isn't in the best interest of top programs to go up against teams that may beat them, but they will if they are losing recruits to that team. Alabama, Florida St., Texas, etc. are not losing recruits to the Bison, but Minnesota, Kansas St., and Iowa St. are. I don't disagree with you, but why haven't they ever played them? USD played Oregon and SDSU played Missouri this year. In years past, Georgia Southern has played Alabama. I just think NDSU always looks for games they have a good chance of winning, which I guess its a good idea for them. I don't know if they have ever even been contacted by the larger Power 5 schools. Most of the time those schools in the Power 5 are looking to increase their recruiting base in certain areas by playing those teams. Let's face it, I don't think any schools are trying to break in to the ND recruiting area. At least with USD and SDSU you're breaking into that Sioux Falls, Sioux City, northern Nebraska, southern MN areas. The drive for five is alive. One for the thumb. Nephew named MVP. He could very well have a chance at the next level after next year. hockeynut wrote: The drive for five is alive. One for the thumb. Nephew named MVP. He could very well have a chance at the next level after next year. I think next year that offense is going to be ridiculously good. Wentz, Frazier, Urzendowski, Vraa, two TEs, and almost the whole line back. Wentz should put up some crazy numbers and get a good look at the next level. Wentz is the #9 rated QB for the 2016 draft according to CBS Sports. Pretty impressive and I think he will be higher by the end of next year.